The 2015 National Assessment of Educational Progress report, also known as The Nation's Report Card, shows that U.S. educational achievement, to put it nicely, leaves much to be desired. When it comes to reading and math skills, just 34 percent and 33 percent, respectively, of U.S. eighth-grade students tested proficient or above -- that is, performed at grade level or above. Recent test scores show poor achievement levels in other academic areas. Only 18 percent of eighth-graders are proficient in U.S. history. It's 27 percent in geography and 23 percent in civics. The story is not much better when it comes to high schoolers. According to 2010 and 2013 NAEP test scores, only 38 percent of 12th-graders were proficient in reading. It was 26 percent in math, 12 percent in history, 20 percent in geography and 24 percent in civics (http://www.nationsreportcard.gov). Many of these poorly performing youngsters gain college admission. The National Center for Public Policy and Higher Education reports, "Every year in the United States, nearly 60 percent of first-year college students discover that, despite being fully eligible to attend college, they are not ready for postsecondary studies." That means colleges spend billions of dollars on remedial education. Many of the students who enroll in those classes never graduate from college. The fact that many students are not college-ready takes on even greater significance when we consider that many college courses have been dumbed down. Richard Vedder, emeritus professor of economics at Ohio University, argues that there has been a shocking decline in college academic standards. Grade inflation is rampant. A seminal study, "Academically Adrift," by Richard Arum and Josipa Roksa, argues that very little improvement in critical reasoning skills occurs in college. Adult literacy is falling among college graduates. Large proportions of college graduates do not know simple facts, such as the half-century in which the Civil War occurred. Vedder says that at the college level, ideological conformity is increasingly valued over free expression and empirical inquiry. While educational achievement among whites is nothing to write home about, that for blacks is no less than a disaster. Only 13 percent of black eighth-graders score proficient or above in math, and only 16 percent do in reading. In 2013, only 7 percent of black 12th-graders scored proficient in math, and only 16 percent did in reading. The full magnitude of the black education tragedy is seen by the statistics on the other end of the achievement continuum. "Below basic" is the score given when a student is unable to demonstrate even partial mastery of knowledge and skills fundamental for proficient work at his grade level. In 2013, 62 percent of black 12th-graders scored below basic in math, and 44 percent scored below basic in reading. Dr. Thomas Sowell has written volumes on black education. The magnitude of today's black education tragedy is entirely new. He demonstrates this in "Education: Assumptions Versus History," a 1985 collection of papers. 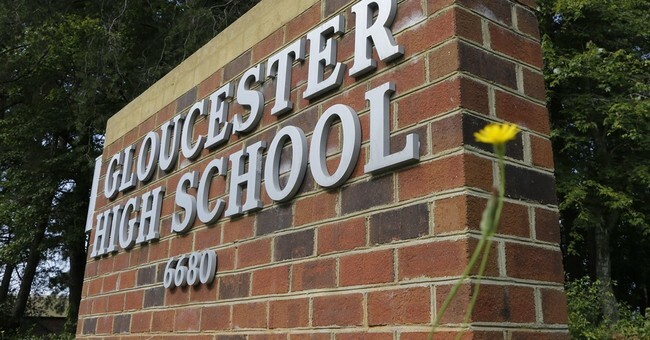 Paul Laurence Dunbar High School is a black public school in Washington, D.C. As early as 1899, its students scored higher on citywide tests than any of the city's white schools. From its founding in 1870 to 1955, most of its graduates went off to college. Dunbar's distinguished alumni included U.S. Sen. Ed Brooke, physician Charles Drew and, during World War II, nearly a score of majors, nine colonels and lieutenant colonels, and a brigadier general. Baltimore's Frederick Douglass High School also produced distinguished alumni, such as Thurgood Marshall and Cab Calloway, as well as several judges, congressmen and civil rights leaders. Douglass High was second in the nation in black Ph.D.s among its alumni. The stories of the excellent predominantly black schools of yesteryear found in Sowell's study refute the notion of "experts" that more money is needed to improve black education. Today's Paul Laurence Dunbar and Frederick Douglass high schools have resources that would have been unimaginable to their predecessors. Those resources have meant absolutely nothing in terms of academic achievement.